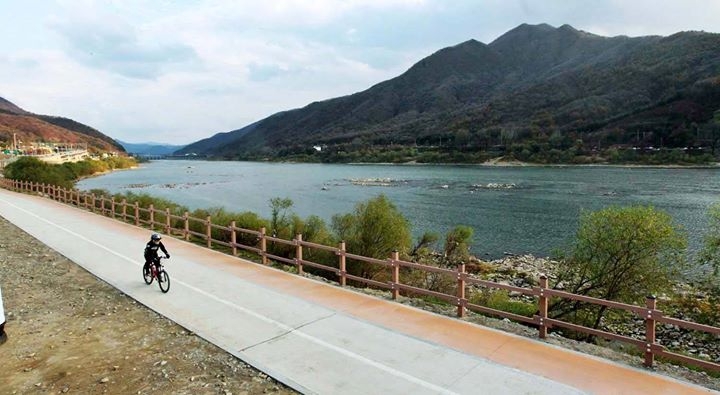 Paldang bike trail is one of the most beautiful cycling destination in Korea. On the bike trail, we can expect to see gorgeous Han riverside views, old train tunnels passage, beautiful wooden cycle paths and artistic bridges to cross the river. After 1.5 hour bike riding, we will have Chogye noodle lunch at the famous restaurant for local riders. - We meet in front of Amsa Station (Line 8) Exit 2 at 10:00 AM. - Basically, we will use English because of various nationalities. - We will rest couple of times during riding. and text or message me with your name. - If you cancel at least 2 days in advance of the scheduled departure, there is no cancellation fee. If you cancel 1 day in advance or on the day of the scheduled departure, no cancellation and refunds available. - If we must cancel or change a scheduled activity for any reason, we will notice you as soon as possible and you will get a full refund of your payments.